Operation Transformation Recipe - Simple open face sandwich that can be prepared in minutes. Add dill to mayonnaise and spread on bread. 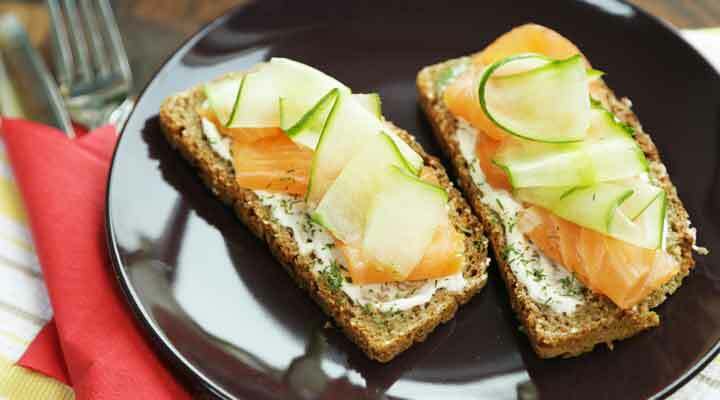 Add smoked salmon and top with cucumber.